We know and love Joseph Morgan as the villainous Klaus Mikaelson from The Vampire Diaries and The Originals, but his first big audition was for another one of our favorite franchises: Harry Potter. 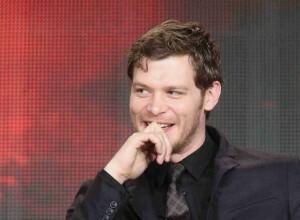 Can you imagine JoMo in the films? The actor dished to Just Jared about the auditioning process. We can totally imagine Joseph as Lord Voldemort’s younger self. As we know from his time as Klaus, he knows how to play a compelling villain. Of course, this was before the actor had such experience playing a bad guy. Though we’re sad for 21-year-old Joseph that he didn’t end up getting the part, we can’t say we’re upset that his career ended up the way it did. Can you imagine The Vampire Diaries without him as Klaus? Yeah, us either.